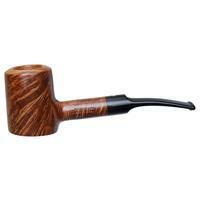 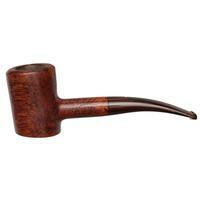 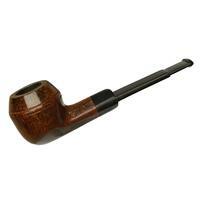 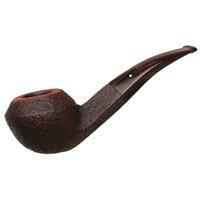 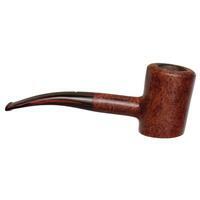 Dunhill's "20" Cherrywood is here presented in a 1997 rendition of the handsome Amber Root finish. 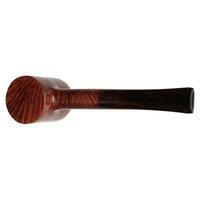 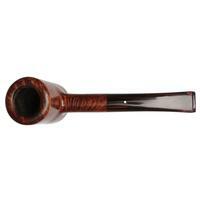 The entire right side of the stummel is a dizzying sea of swirling birdseye, making for a gorgeous grain arrangement. 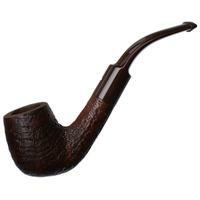 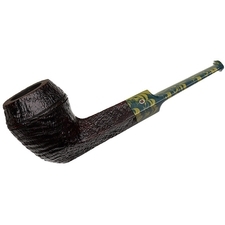 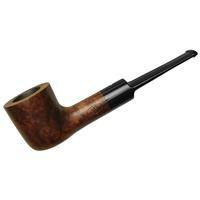 Shape-wise, this is a more playful design compared to the others on Dunhill's shape chart due mostly to the stem's characteristic downward turn and the bowl's slight forward cant. 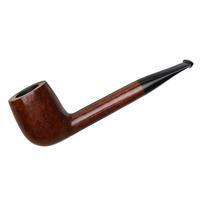 Here, the transition is a touch more raised than other iterations, lending more prominence to the bowl and negative space created by the shank. 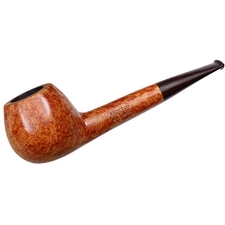 It still sits sturdily, though, and the warm hues of the cumberland do well to complement the auburn stain. 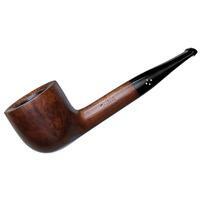 Just some rim darkening, chamber carbonizing, and charring around the airway to note.